Home | Competitions | PJ Masks Are On Their Way, Getting Ready To Save Christmas Day! By day, six-year olds Connor, Amaya and Greg go to school like everyone else. 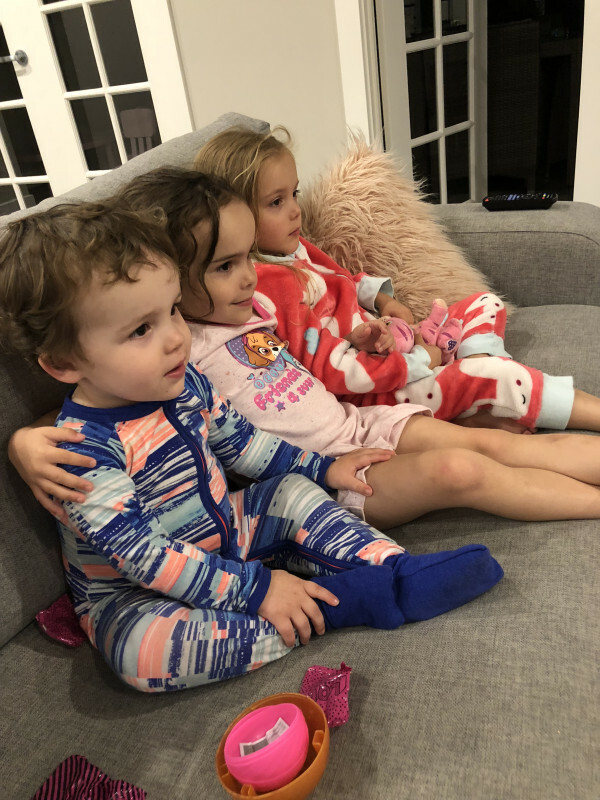 As night falls, they put on their pyjamas, activate their amulets and magically transform into heroes; Catboy, Owlette and Gekko – the PJ Masks! As Australia’s hottest brand for preschoolers, Entertainment One’s (eOne) PJ Masks are destined to reign supreme as the No. 1 request for under the Christmas tree this year. Want to know what your PJ Masks fan wants to unwrap on Christmas morning? We’ve got a list of all the most awesome PJ Masks gifts right here. Watch out night-time baddies – the PJ Masks are on their way, into the night to save the day! PJ Masks is broadcast across Disney Junior & ABC KIDS daily. Owl Glider. Includes 12 exciting activities that will help to reinforce the learning of science, geography, food, matching, problem solving, letter order, memory skills and more. Available from amazon, Big W, Coles, JB Hi-Fi, Sanity, Target and Woolworths from 24 October 2018 for RRP $19.95. The Catboy Cat-Car Ride On is a fun scooting mobile designed to look just like the car from PJ Masks. The PJ masks will have you shouting ‘’Hooray for Christmas!’’ with this new Christmas-themed colouring and activity book. With the push of a button, watch your favourite PJ Masks characters turn into a night-time hero! These are the ultimate PJ Masks racing vehicles! Romeo has devised his next brilliant plan to take over the world and it’s up to Catboy to stop him! Shake, place the car on the track, and use the launch pad to propel Cat-Car and Romeo’s Lab on an action-packed, nighttime adventure, race to the finish line. Celebrate the countdown to Christmas with a milk chocolate behind every window, from December 1st up to Xmas Eve! There’s also a cool cut out Memory Game activity on the back of the pack. Please note this competition is open from 5 November 2018 until 10 December 2018 and is only available to members of Mouths Of Mums. This competition is a game of skill – answer in 50 words or less. We are unable to accept entries posted via facebook. Facebook LIKE functionality is not a requirement of entry to this competition. The winners of this competition will be published on this page. Winners’ name and address will be provided to the promoter of this competition and prizes will be sent to the address you have in Your Profile. Please ensure your details are up to date so that you receive your prize. My son has autism and is obsessed with owlette! I think mainly because shes red but Really who doesn’t love a female hero! Catboy’s smart, fast, loved in my home. Inspirational character in a class of his own! PJ Masks team is fantastic, but Catboy’s intelligence is pure magic. Catboy’s a super star, the best by far. Master four loves gecko why Gecko is the one he wears the mask and outfit and runs around the house saving everyone he is so adorable on,y three and the biggest pj mask fan. Super gecko! I love running around with super gecko muscles! Romeo – stands up for what he believes in, isn’t afraid to do what it takes to get what he wants, even though he isn’t the nicest, he is very honest with his intentions. PJ ROBOT, created to infiltrate HQ, he instead wants to be part of the Team. Great TEAM PLAYER he unlocks super skills and super powers, earning his stripes as one of the PJ TEAM. He is a great example and kids love him. My daughter Tiffany’s favourite character is Amaya/Owlette because she wears glasses (just like Mummy!) and she’s always smiling, helping people and is “strong”. ‘My favourite is Cat Boy! Because he goes super fast! He can save people because he goes super fast & he is a boy who is a cat & I love blue! Owlette because she clearly didn’t care about the stereotype that most superheroes are male! I think we have a little feminist on our hands with her and I love that my son will see that!